Did Sir Walter Raleigh Prophesy or Predict Donald Trump? Did Sir Walter Raleigh prophesy the rise of Donald Trump and the terrible things that would happen afterward? Is the "end of crosses" the support Trump received from evangelical Christians? Is the "fear" that will make Christians "quake" yet to come? Will Trump trigger "great losses" in the form of a global depression or world war? The end of the poem is a riddle. Can you solve it? The herald whose beard is flesh and whose mouth is horn is a rooster. A rooster announces a new day. Will the new day be something that deprives Trump of power, such an impeachment, lost election, resignation, incapacitation, or death? But because a trump is a kind of horn, is it possible that a Trump family member will be Donald Trump's undoing? 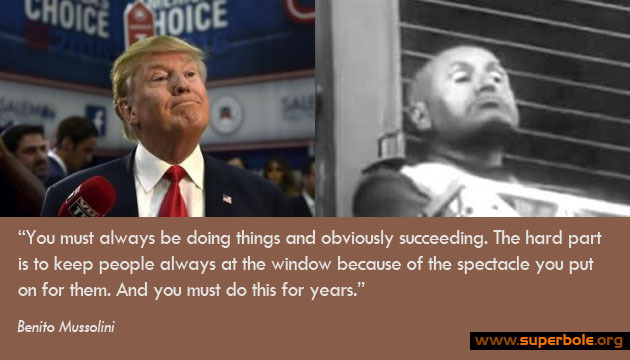 Will the fascist Donald Trump follow in the footsteps of Benito Mussolini, destroying the United States the way Mussolini once destroyed Italy? 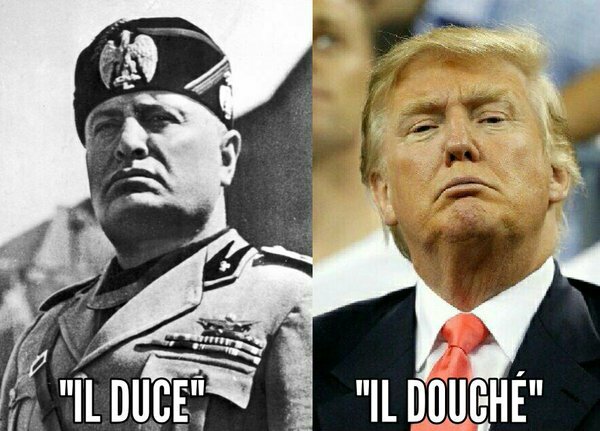 The second amazing parallel is their nicknames: Il Duce and Ill Douche! 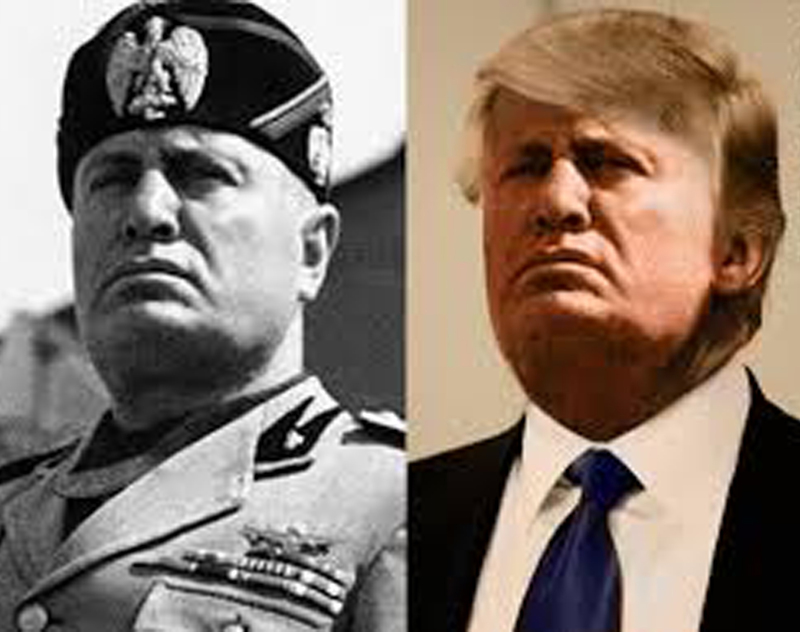 The similarities have not gone unnoticed, because other popular (or unpopular) Trump nicknames include Casino Mussolini (coined by Samantha Bee), Hair Mousse-olini, Mango Mussolini, Cheeto Benito, Cheat-o Benito, Benito Cheetolini and Benito Trumpolini.